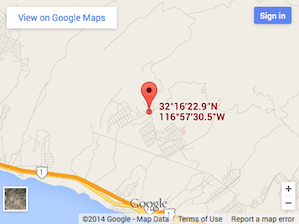 Where is the Rosarito Campus located? 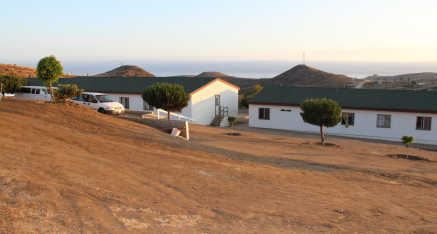 Our second children’s home, or the “new site” is located about 25 miles south of the border, just south of Rosarito, a tourist area with beautiful beaches and lots of shopping and attractions. The official name for the Rosarito campus is “Hacienda Victoria”. But you’ll hear the locals refer to it as simply “Rosarito”. Who lives at the Rosarito campus? 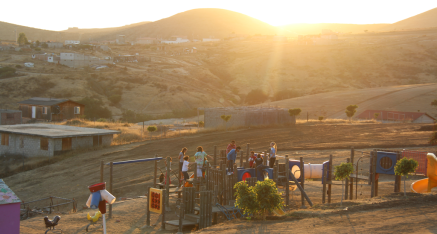 Our Rosarito campus, also called “Hacienda Victoria,” is home to many staff members- and their families- and two dorms full of our youngest children. Eventually, we hope to have all of our staff and children living at this beautiful 7-acre facility, but for now, all of our younger children are located here. From our preschoolers to our oldest kids finished junior high school this campus has a full range of ages and personalities. What ministry goes on at the Rosarito Campus? The greatest ministries that we provide in Rosarito are those of loving and caring for the children. With so many children to care for, keeping up with chores, feeding everyone, and doing laundry is a full-time job. Our staff also have to meet the emotional needs of the children. Many of our children in Rosarito either have no family, or were completely abandoned or ignored by the family they had. We have children who have long to see their families again and children who are hurt and confused by the concept of a “family.” It is our job to re-teach them what “family” should be and to show them that they have a Father who loves them more than anything. These children need loads of love and attention, and with so many in one place, we have our hands full! All of our staff and children in Rosarito are also involved in a small church located just outside our campus. This church was founded by Tijuana Christian Mission with the help of a local pastor. We also have many mission teams come to visit us in Rosarito, doing special projects for the children and often offering Vacation Bible School classes. Hacienda Victoria is still a work in progress. At this time, we have three dormitories, two staff houses, and a cafeteria built at the top of the campus, and a kitchen, bath house, and campground at the bottom of the property. We also have two playgrounds, a soccer field, and a garden. Eventually, we hope to have a total of twelve dormitories (which would house up to 300 children! ), but we still have a lot of work to do. At this time, we have several projects underway – laying the foundation for the gymnasium, building a new guest dormitory, and building a wall around the property. One of our biggest concerns is the amount of money we spend trucking water up to our home The current building of the guest dormitory is a huge answer to prayers that will serve our home and ministry in many ways. We continue to pray for more dorms and more spaces for our children to grow and play. All of these projects require two things – manpower and money. If you are able to support us financially, please contact us at the address below and let us know how you would like to help. If you would like to come down for a visit and help us with any of these projects, or just love on our kids, you can visit our Mission Trips page for more information. We also have a Child Sponsorship program that you can become a part of to make a difference in the life of one of our children.